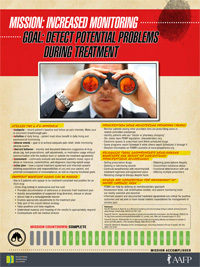 Below you will find the educational information presented during the IDEAL® CME/CE activity at AAFP, held on September 25-28, 2013 in San Diego, CA - Mission: Pain Management The Patient Centered Approach. This material is provided for your information only. CME/CE credit was offered for participating during the live event only. Which statement on the principles of PMCH care is INCORRECT? Multidimensional pain assessment tools are beneficial in measuring which of the following? 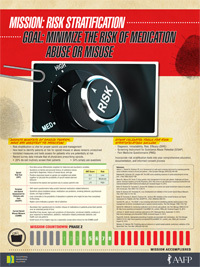 Which risk stratification tool is considered the easiest and quickest method to assess a patient's risk for opioid misuse/abuse? 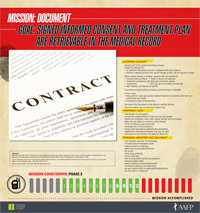 Which statement regarding informed consent is NOT true? The American Academy of Pain Medicine recommends avoiding which agent to prevent opioid mortality? 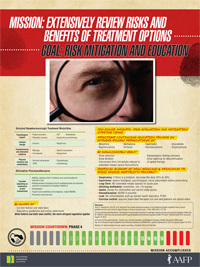 How many patients who appear to be treatment compliant test positive for an illicit drug upon urine screening? 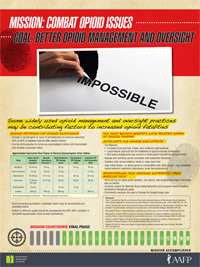 Supported in part by a grant to the AAFP from Purdue Pharma L.P. and Endo Pharmaceuticals. 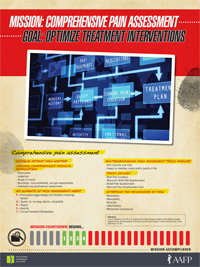 IDEAL® technology for this activity is provided by Educational Awareness Solutions.